Asphalt preventative maintenance is a way of saving you time and money when it comes to repairing your Brandon, FL asphalt. Asphalt Preventative Maintenance in Brandon – Asphalt can be seen wherever you go, whether it’s on the road you drive on every day, your work parking lot, or maybe even your driveway. If you own a property that has a black top, asphalt preventative maintenance is an important thing to apply. If you are in the area of Brandon, Florida, AAA Top Quality Asphalt is here to help you. Asphalt preventative maintenance is a way of saving you time and money when it comes to repairing your asphalt. Asphalt is affected by natural elements, such as water, sun, and even oxygen. These little things can break down asphalt in a big way, but when proper care and asphalt preventative maintenance are practiced, asphalt can last you many years to come. When our team helps you with asphalt preventative maintenance, you can first expect us to inspect your black top for signs of wear, like cracking or discoloration. When problem areas are found, we will be able to quickly repair, seal, or patch the area, saving your asphalt’s appearance and integrity. We are the experts when it comes to asphalt, and you can trust us to get the job done right. Along with asphalt preventative maintenance, our services also include asphalt paving, asphalt sealing, pavement markings, demolition, excavation, and curbing. We know how important a safe and visually pleasing driveway or parking lot is to your home or business, and we promise that you will be 100% satisfied with our results. Call us today to set up an appointment or to request more information. 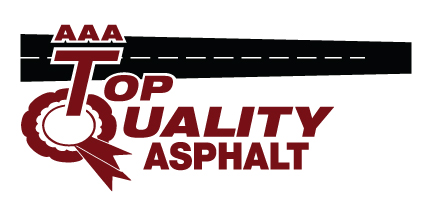 Here at AAA Top Quality Asphalt we provide quality Asphalt Preventative Maintenance for customers in and around Lakeland, Winter Haven, Plant City,Brandon, Tampa and Clermont, Florida!